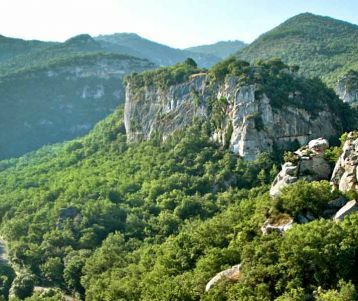 From the Auberge des Seguins, a beautiful wild walk leads you along the famous Aiguebrun Valley, through lush vegetation and up to the tiny hamlet of Sivergues, lost in the most remote part of the Luberon. You continue upwards to the thyme-laden crests of the Luberon mountains. where on a clear day we can see the snow-capped peaks of the southern Alps. You enjoy a gourmet Provençal picnic with spectacular views before embarking on our descent back to the Aiguebrun Valley. Along our return we can opt to visit the 3000 year-old Buoux Fort. 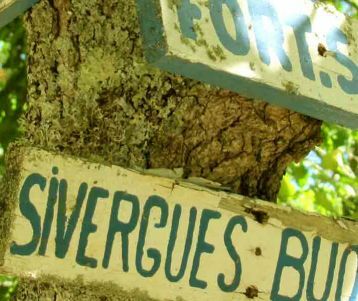 From the Auberge des Seguins your expert guide will lead you along the Aiguebrun Valley, the only river of the Luberon mountains. Through lush vegetation and set between limestone walls, this is where the oldest of our ancestors hunted and lived in the grottos carved into the cliffs. Climbing out of the valley we reach the tiny hamlet of Sivergues, lost in the most remote part of the Luberon. After a break at the village spring we’ll continue upwards through a forest of white oak and past the Castelas goat farm, where we finally reach the thyme-laden (yes, a veritable carpet of thyme) crests of the Luberon mountains. From here views of Cézanne’s Sainte Victoire open to the South, to the North on a clear day we can see the snow-capped peaks of the southern Alps, while in the foreground we’ll see the tiny villages that dot the Luberon Mountains. We’ll enjoy a gourmet Provençal picnic with spectacular views before embarking on our descent back to the Aiguebrun Valley. 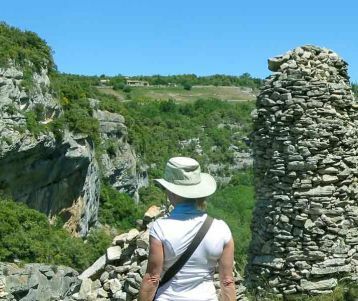 Along our return we can opt to visit the 3000 year-old Buoux Fort, set on a narrow plateau that hovers vertiginously above the valley. 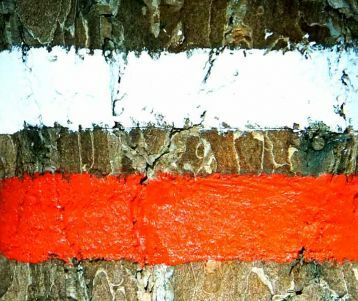 Each civilization that stayed there – from the Celts to the Waldensians – left their marks upon this impressive site. The walk is 13km in total, and you can expect up to 6 hours of walking time along the trails. You can expect a sustained climb of at least two hours from the start of the walk and up to the crest of the Luberon (as well as a long descent back to the valley). The paths are easy underfoot but are rocky: you can choose to wear hiking boots with ankle support but trail runners are sufficient if you're used to walking on uneven surfaces.